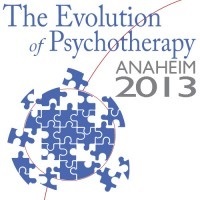 The new Neuroscience of utilizing Implicit Processing Heuristics in facilitating the 4-stage creative process in the construction and creative reconstruction of fear, stress and post traumatic memories and symptoms during brief psychotherapy will be demonstrated with the entire audience, as well as a volunteer. Current research in psychosocial genomics is reviewed to underpin a new evolutionary RNA/DNA epigenomic theory of the quantum transformations of consciousness and creative cognition. The alternating classical-to-quantum and quantum-to-classical transitions on all levels from mind to gene are explored for developing an understanding of how the 4-stage creative process operates in an evolving cosmos/consciousness field theory. Working in collaboration with our clients to create solutions is one of the new directions that effectiveness based approaches advocate. The workshop leaders who live in Iran and United States respectively will be demonstrating these techniques. By utilizing culturally oriented assets, attendees will be offered a unique approach that can help empower people. The Generational Self approach emphasizes how the state of consciousness in which an experiential challenge is held determines whether a problem or solution develops. The model identifies three types of mind – Somatic, Cognitive, and Field,and how each mind can be operating at a Primitive, Ego, or Generative level. We will see how a problem degrades a person’s consciousness level so that change is impossible, and how that low-level state can be improved to a Generative level, so that the problematic experience either spontaneously changes, or is more easily engaged. Numerous practical techniques and clinical examples will be offered. Prevalent views of higher brain functions are based on the notions of computation and information processing. Various lines of evidence appear to be incompatible with this position and suggest instead that the brain operates according to a set of selectional principles. A theory addressing these principles, called Neural Darwinism, will be discussed. This theory has a direct bearing on our understanding of the neural basis of consciousness, a key issue in psychotherapy. 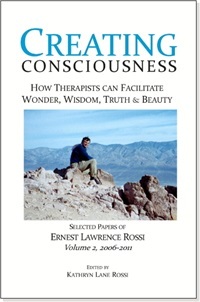 Facilitating the RNA/DNA epigenetics of creating new consciousness is the next step in the evolution of psychotherapy. 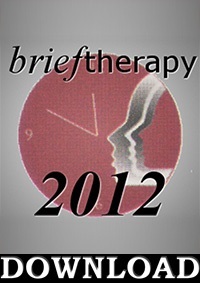 Restricting psychotherapy to the limitations of the cognitive-behavioral level is becoming a disservice to psychology. 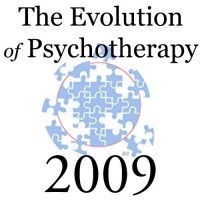 We must embrace the bioinformatics of the new technological devices that make it possible to assess and facilitate the dynamics of gene expression and brain plasticity economically within a single session of psychotherapy.